This means you'll need some holiday outfits to wear and I've got you covered! In this post, I’m featuring an outfit from one of my favorite retailers, MM.LaFleur. In case you haven't heard of them, MM.LaFleur is one of the best brands that has ever happened to women's work wear. They create stylish, high-quality clothes for professional women. I love their holiday collection this year which has lots of options that will take you seamlessly from the office into the evening with an added touch of sophistication and glamour. Keep scrolling for the details on this outfit and for some of my other picks from MM’s holiday collection! This dress is called The Alexa Dress in “fir tree” which is a gorgeous dark green. It also comes in black. 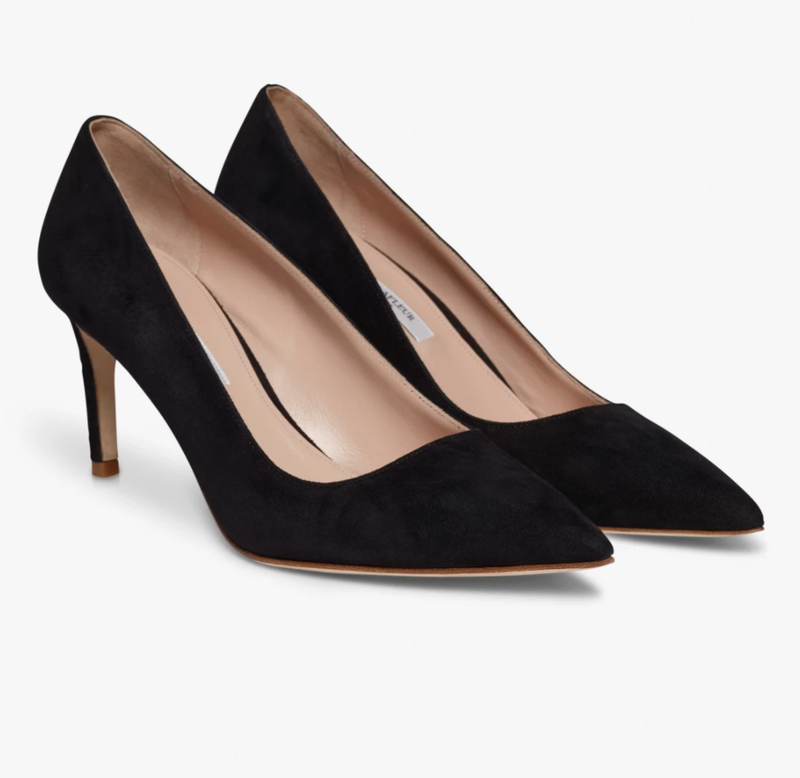 The satin material has the perfect amount of sheen for a glitzy holiday party and can easily be worn with a blazer or shawl during the day at the office and then removed at night. This dress is very figure flattering without being tight or constricting and the material is so luxurious! To cover the shoulders during the day at work (and for running outside between Ubers!) 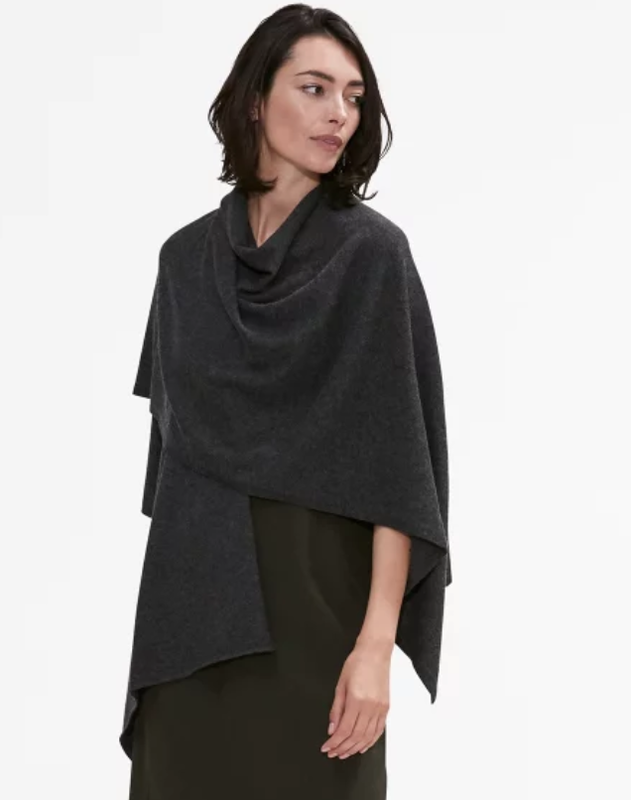 I paired it with this shawl which adds a touch of elegance to the outfit and is also super soft 100% cashmere. Another nice way to wear this shawl with this dress is to belt it. MM makes a satin belt in the same color as this dress. I like to belt the front of the shawl and let the back hang loose.